Saswat Joshi: A globally known artist in this dance form, he has also performed odissi in-front of iconic marvels of the world, eiffel Tower (Paris) & The Collosseum (Rome) to name a few. He has been the exponent of Padma Bibhusan Guru Kelucharan Mohapatra & also a recipient of a national scholarship from Ministry of Culture Government of India. 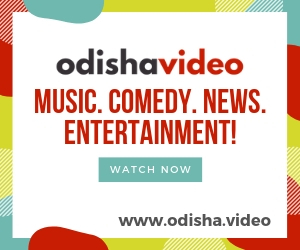 The event was recorded by Team OdishaLIVE. Bargarh Dhanu Yatra is a world famous stage play replicating the death of Kansa. Saswat Joshi and Group performing Sambalpuri folk dance on the Rangmahal of Kansa Maharaja at Bargarh Dhanu Yatra 2017-18. Must watch.